There’s nothing quite like a quality, fresh Christmas wreath. Searching for some new Christmas wreath ideas? 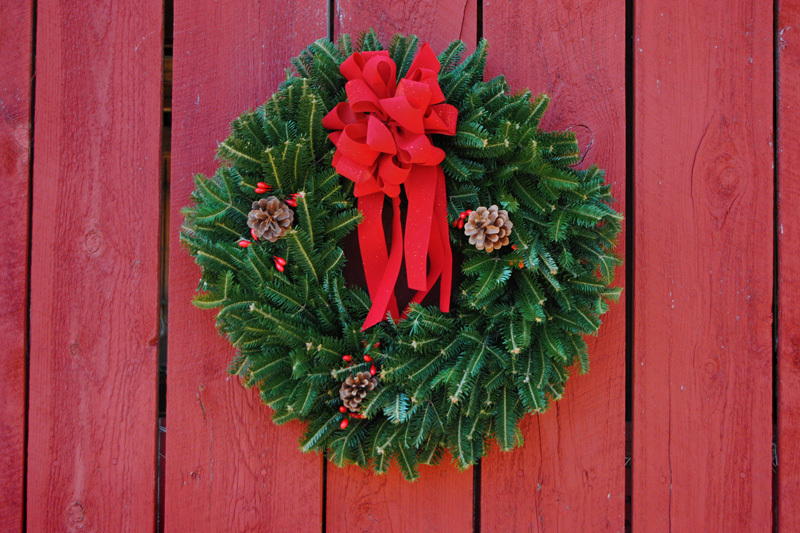 Sturgill’s sells live Christmas wreaths made from fresh, live evergreen foliage from our cut trees and bough. 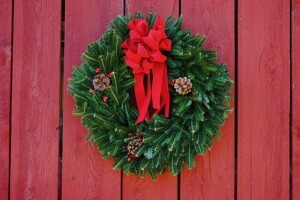 We’ve got traditional Christmas wreaths offered in a variety of sizes. For those that might want something different than the round circular Christmas wreaths, check out our Christmas wreath ideas and fun shapes. We feature a Candy Cane Christmas wreath, a Christmas tree shaped Christmas wreath, and a heart shaped Christmas wreath shape this year. We can also create just about any custom order if you give us some notice. Give us a call to discuss your Christmas wreath ideas and we’d love to honor your request and create a custom fresh Christmas wreath just for your special needs. You can get many great Christmas wreath ideas for decorating from home and gardening publications. Southern Living magazine as well as Better Homes & Gardens are tried and true decorating publications that have a tradition for being on top of every season’s best décor items. We expect to see lots of trends this year changing. We’ve seen the use of bright colors such as pink, lime green and bright whites and golds coming back as well as using everyday items in your Christmas décor. Some have even used birch woods, jingle bells, and even toilet paper rolls and wrapping paper rolls for wreath forms. For more Christmas wreath ideas you only need to Google search, ‘Christmas Wreath Ideas’ and you’ll be rewarded with millions of ideas that look great this season. We are a Blue Ridge Mountain tree farm that operates in NC, VA and WV. Our home base of operations is in Ashe County, North Carolina and we’ve been growing wholesale Christmas trees for decades. Each year we try to outdo the last year’s successes. We were recognized at the 2015 National Christmas Tree Association meeting for our quality in growing. We were named the Co-Reserve Champion and we will be presenting a Christmas tree to the Vice President of the United States in the 2016 season.